Sometimes you just want to feel the power under your feet. You can experience this by opting for a Chevrolet performance vehicle. These powerful sports cars can give you the thrill you seek on the Grand Blanc, Flushing, and Flint roads. If you want to change the way you drive, visit Patsy Lou Chevrolet and take a look at the performance vehicles we have available and why you should make one yours. 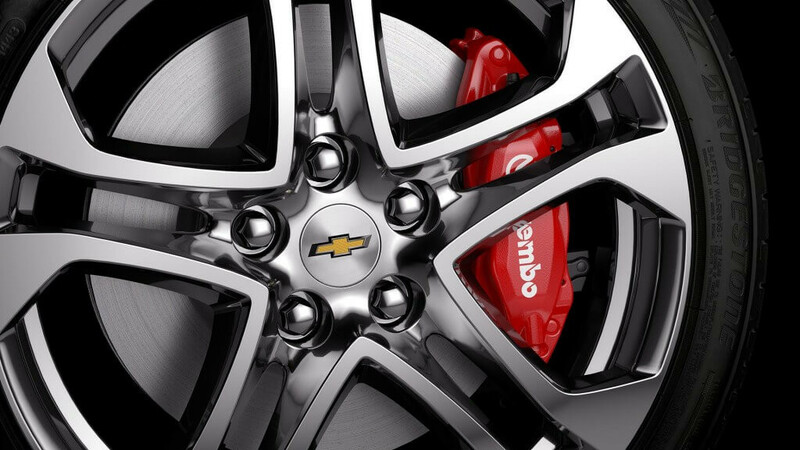 When you think about Chevrolet performance vehicles, you may only focus on the power. While it is extremely impressive, what also allows Chevrolet vehicles to stand out is the multitude of technology that is available in each one. Take a look at some of the fun amenities you can expect to find if you bring one home. When you drive a sports car, you know that staying safe is extremely important. Thankfully, every Chevrolet performance vehicle was created with an abundance of standard and available safety features that will give you the ultimate peace of mind every time you get behind the wheel. The Chevrolet SS comes standard with a 6.2L engine that generates 415 hp for a truly energetic driving experience. Drivers can choose from a standard six-speed automatic transmission with TAPshift®, or you can opt for the six-speed manual transmission for more control. In addition to power, drivers will also love the SS for its upgraded front fascia that gives off an aggressive look. The hand-wrapped leather-appointed performance seats are comfortable and add to the elegant interior you wouldn’t expect in a sports car. The Chevrolet Camaro is another performance vehicle that generates a lot of excitement. The chiseled exterior provides the right aerodynamics for a smooth and steady ride. You can also choose from three different powertrains that you get the exact power you want. Plus, the available 8-speed paddle shift automatic transmission gives you the ability to control your power. The Corvette Stingray is a popular choice among car fanatics, and for good reason. The 6.2L LT1 V8 engine generates 460 hp and 465 lb-ft of torque for a fast and furious driving experience. You can also choose between the 7-speed manual transmission with Active Rev Matching and the available 8-speed paddle shift automatic transmission. To make this vehicle stand out, you’ll also love the Magnetic Selective Ride Control™, which provides the world’s fastest-acting suspension. The Chevrolet Z06 is the most advanced and most capable Corvette offered. The standard engine delivers 650 hp and 650 lb-ft of torque for the most powerful ride you can ever experience. You will also enjoy the wider stance and the driver-centric interior, as well as the evolved aerodynamics that let you seamlessly maneuver through the road. If you are interested in a performance vehicle that actually performs, then you want to be sure you choose the Z06. Chevrolet performance vehicles are highly sought after vehicles because they give drivers the power and performance you command on the Grand Blanc, Flint, and Flushing roads. If you want to bring one of these cars home today, visit Patsy Lou Chevrolet at 5135 Corunna Rd in Flint, contact us online, or call us at (810) 732-7500 to schedule your test drive or to learn more about these amazing new vehicles.